So you know when you see something that is designed so well, it seems effortless. Almost absurdly obvious? Yeah, that. That is the Contort Power Supply from Quirky. 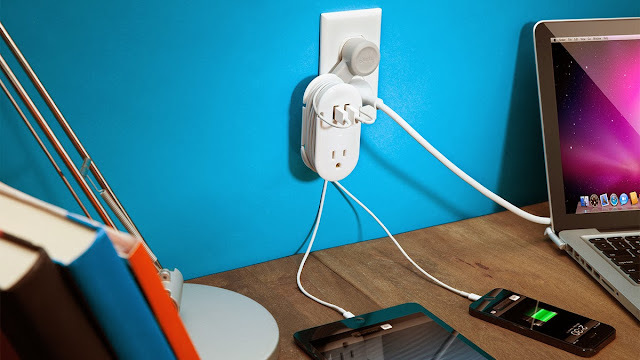 It's a beautifully designed portable charging station for both AC and USB plugs, with smart little features like an offset plug which keeps it from impeding access to the other outlets and an exterior channel to wrap your cords, to keep things nice and tidy. And the best part: right now it's on sale on Quirky for only $20.